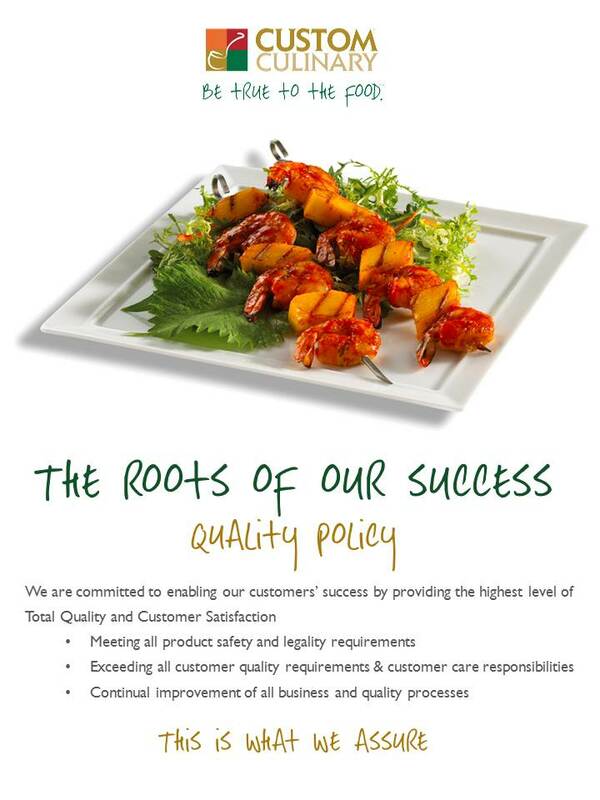 The capabilities we offer food manufacturers are the result of our collaborative expertise. Whether a custom product is made at one of our state-of-the-art facilities, our Culinary Center or a customer’s manufacturing plant, our R&D team constantly experiments with the newest ingredients and techniques in order to develop the most innovative and flavorful formulas. We also have products which meet the growing list of special health considerations: natural, Halal , no gluten ingredients, no trans fat, low sodium, vegan, and vegetarian, to name a few. We produce a variety of products in a variety of formats in a variety of packaging options—and that gives food companies maximum flexibility to pick and choose. Packaging capabilities include jars, pails, drums, pouches, and totes.